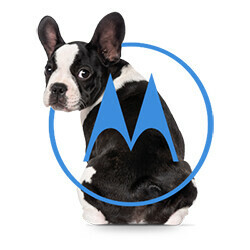 A couple of mid-rangers from Motorola have recently passed the FCC, revealing a number of specs along the way. This is particularly interesting, considering the brand's already high number of devices in a lower price range available on the market. Four separate filings reveal devices carrying model numbers XT1792, XT1794, XT1801, and XT1804, though the similar models most likely signify different versions of the devices for separate regions. And as it happens, we've already seen another variant of one of these devices, this time carrying model number XT1797. That same listing already revealed a couple of specs already: a Snapdragon 430 SoC, a 3,000 mAh battery, a 5.5-inch display, and Android 7.1.1 equipped on board. As for the other device, the FCC filing reveals it, too, will sport a 3,000 mAh battery and will run Android 7.1.1, and while the chipset wasn't listed in the publicly available documents, its WWAN chip indicates it will most probably be powered by the Snapdragon 430 as well. However, it's worth noting that both devices will also sport both a single and dual-SIM variants, and both will most probably be released in the United States. Moto seems to be pretty busy with its releases these days: it has just released the Moto Z2 Play, Moto C and C Plus, and the Moto E4/E4 Plus duo. Meanwhile, we're expecting the high-end Z2 and the mid-range X4 and G5S+ to make an appearance soon as well – so there's plenty of Moto phones going around right now, and yet the company's producing even more of them. Still, we can't exactly fault Lenovo for this tactic: there's certainly a lot of money to be made in the lower end of the spectrum. So what ever happened with Moto's June 27th event? Samsung is more ridiculous! Maybe you forget that they make smartphones every morning they wake up.